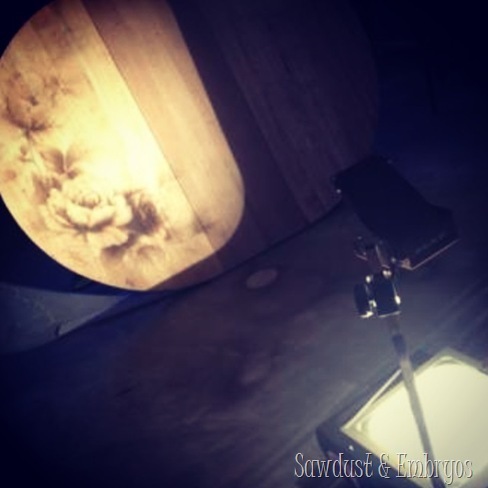 Last week I shared a sneak peek on Instagram of a new decorative staining project I’ve been working on. 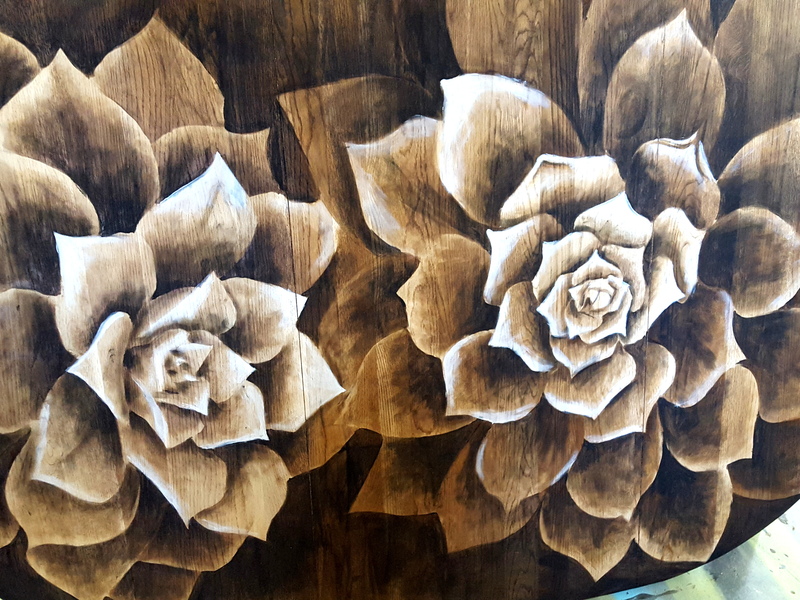 I’ve been wanting to try staining with various colors, and when RustOleum sent me some of their new stain shades to play with using my Wood Stain Art Technique, it was only a matter of time! We’ve had this really amazing clawfoot table taking up room in our garage for awhile now. The previous owners had cut it down to be a coffee table, and Nick rebuilt it to be a dining table again. He also built a leaf so the table could extend, and he added a center support pedestal. Those leaves? THEY’RE WOOD. He likes to challenge himself and leave a personal touch on his pieces… which I admire so much. I’m more of a JUST GET IT DONE type of person. You can feel free to ‘read between the lines’ on that one. Heh. 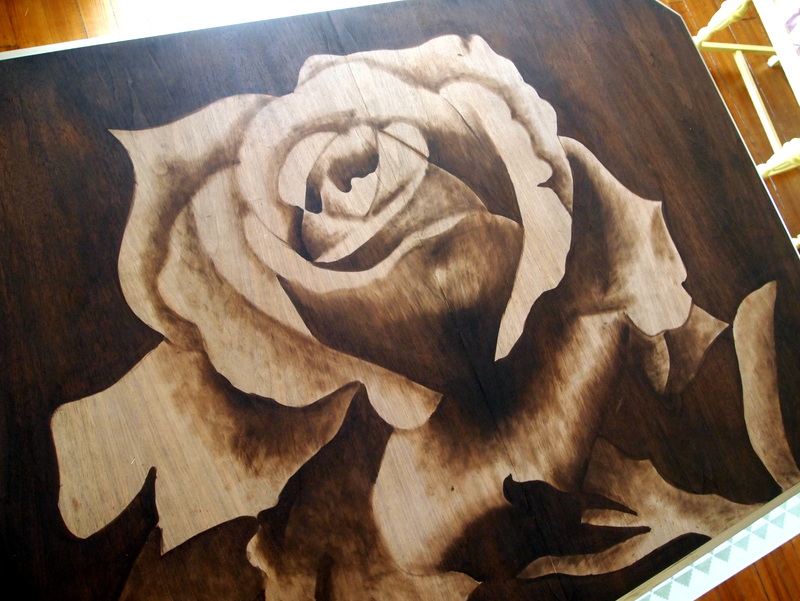 He wanted me to do a stained design on the top surface as the finishing touch. Doing a floral design made the most sense because of the leafy pedestal. 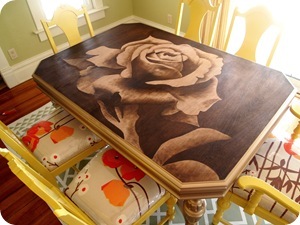 Since there’s a leaf, I decided to do an asymmetrical design with some roses on just one side of the table. That way it looks amazing with AND without the leaf! 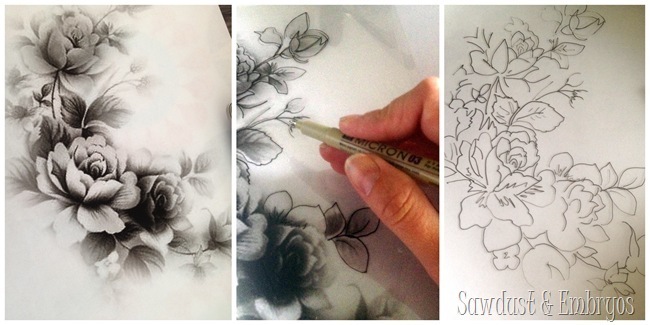 I found an inspiration pic I loved, and traced it onto a transparency… modifying it a bit here and there as necessary. And then, you guessed it, I used my overhead projector to blast the image onto the table and trace with a pencil. I decided to use 3 different shades of stain… RustOleum Dark Walnut, Cabernet, and Sage. The rest is history! You’re going to have to watch the video to see how it turned out! Muahahaha! It’s only 2 minutes long, so your tortured suspense won’t last long. If you’re interested in trying this technique, but are a little intimidated, I have a Beginner’s Tutorial HERE, as well as a video demonstration below! This ‘Shading with stain’ technique is something I’m so proud of! 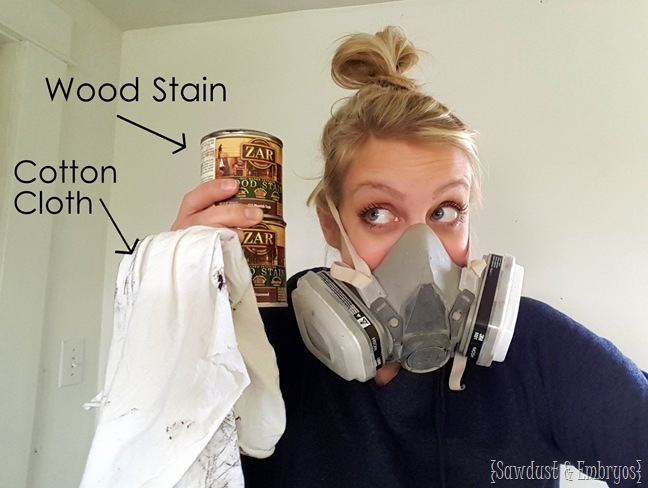 There are TONS of you that have emailed me with pictures of your stained artwork (some examples here! ), and it’s SO AWESOME! It’s the best feeling in the world to know that I inspired someone to create something! You guys are amazing! 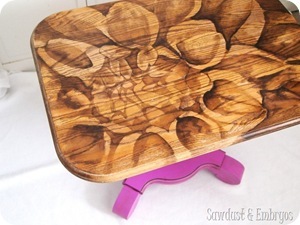 If you haven’t already… check out some previous stained pieces I’ve done! 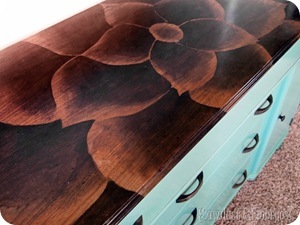 IKEA Furniture Redo – Shading with Wood Stain Makeover! Can you share the stencil you used? Oh man Peggy, it’s been so long I don’t remember where I got this picture. So sorry! Hello. I love all your work. 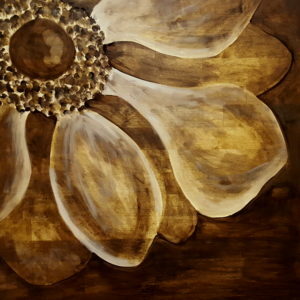 Have you ever used acrylic paints (colors)? 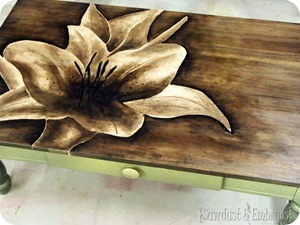 I just got a tiny dresser and going to give it a try since I’ve always love the flowers. I haven’t tried using acrylic paints with this particular technique. But I’m sure it would work! It might just not be as translucent by allowing the woodgrain to show through. If you decide to give it a go, let me know how it turns out! I’d love to see pics! Do you sell any of your table art? love this and sooooo wish you were my neighbor !!! ABSOLUTELY THEE COOLEST!!!! I can totally relate to your artistic thought process. Thanks for putting it into words. 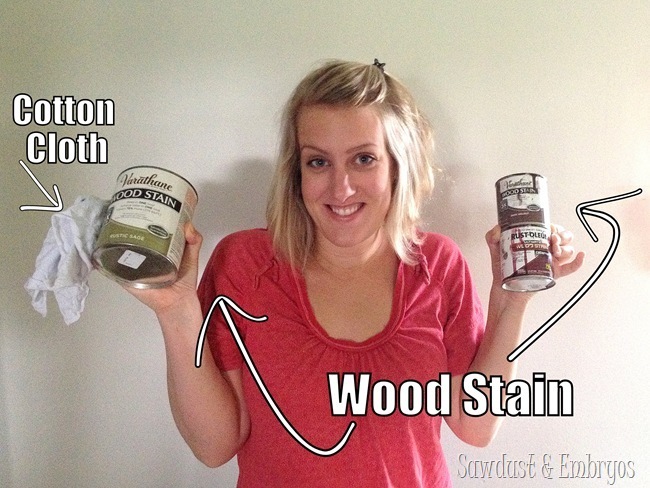 Do you have a favorite finish coat or sealer? 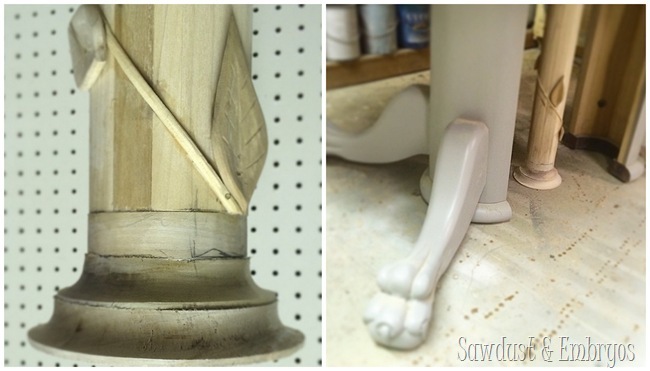 Cody… we’ve tried a lot of different sealers, and our favorite is still just your basic Minwax Polyurethane! LOVE this! I just shared it on my facebook page…it is AWESOME! You are awesome! What kind of stain…paint? did you use for coloring the roses and leaves? Thank you! I used RustOleum stains for this: Dark Walnut, Cabernet, and Sage were the 3 stain shades. THAT is the most awesome thing I have ever seen! You, my girl, have much talent! Beautiful! 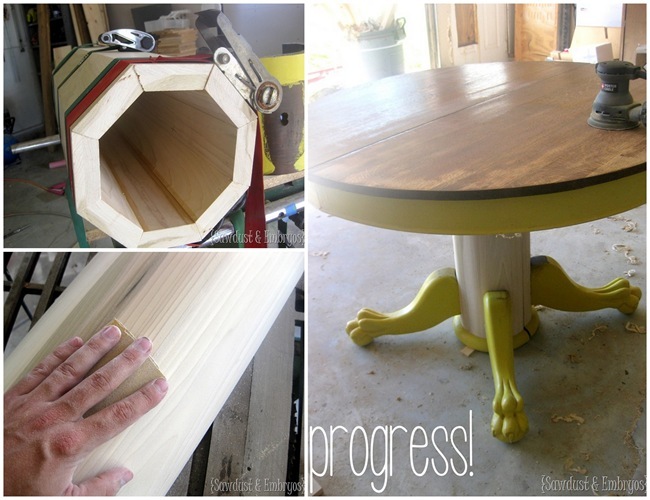 I want YOU to do this on my claw~foot table ~ same colors ~ same pattern!!!! Seriously ~ if you can’t do it ~ you have to find someone who can do it for me! YOU are amazing! All you need on your list is #1 because that IS awesome! I saw that you were telling people on the video on FB that you felt bad people were thinking you free-handed it, when you traced it onto the table first. PLEASE know that I could have traced the same exact image and it would have looked nothing like this at all. You are SO artistically talented. Your shading technique is amazing! Well thank you… 🙂 I appreciate you taking the time to comment! and I know your process mine is the same when ever I design a piece!! That is amazing how you created that table top, simply beautiful. You are truly blessed with great talent. I’m so glad to find your blog. Thank You. I am SO impressed, this turned out beautiful! You are seriously talented! I love this is so many ways! 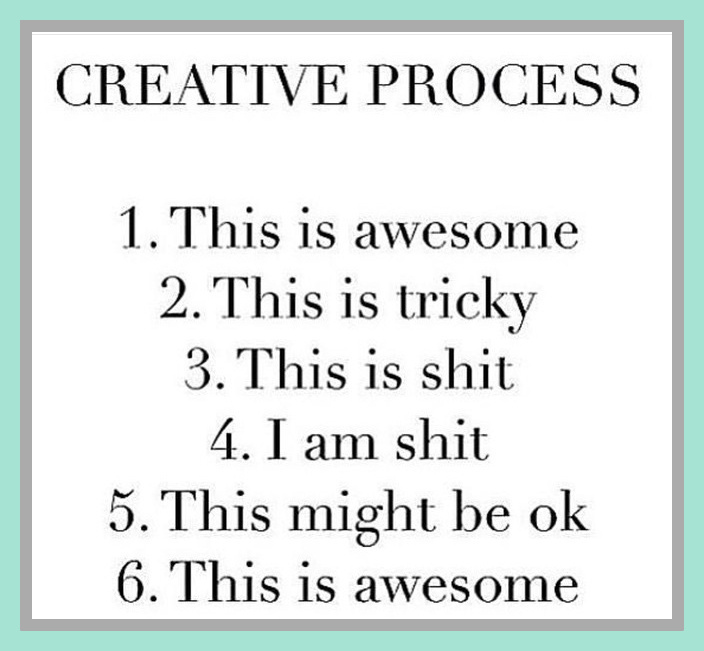 Your ‘creative process’ sounds so familiar it is scary! Absolutely awesomely beautiful! Pinned to pine over! You’re super sweet Candace! Thank you! Are. You. SERIOUS?!?!? That belongs in an art gallery! If you don’t keep it and sell it for less than $2,000, you’re crazy!! You never cease to amaze me with your talent. That is beautiful! 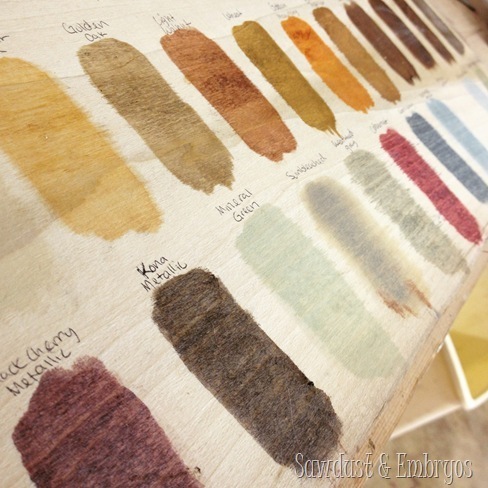 I received some of that colored stain from Rust-Oleum, too – can’t wait to create with it! Thanks for sharing! It’s awesome! You should totally play around with it! Wow! Wow. I am speechless. This is so beautiful! You are so talented. I love it. This table is beautiful! You are super talented! !